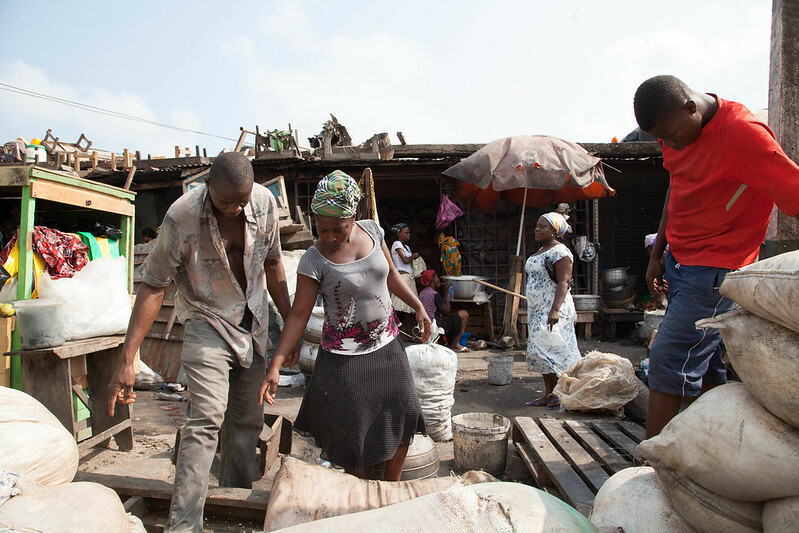 Accra was listed as one of the 46 places to go in 2013 on the New York Times. The NYT called Accra “a buzzing metropolis ready for business and pleasure.” Known for its booming economy in Africa, Ghana is an interesting case study for media freedom in developing nations. 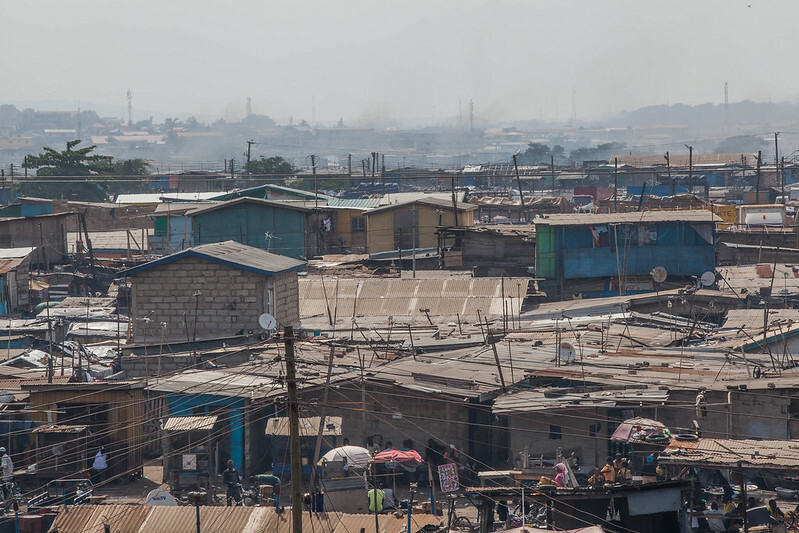 We worked as research assistants for a project on urban development and slums and spent the majority of our reporting time in Agbogbloshie, or Old Fadama, a makeshift slum of approximately 80,000 people, so makeshift in fact that the sprawl doesn’t even exist on a map of the city. The official website for the Ghana Embassy in Washington DC states that “all foreign correspondents wishing to visit Ghana are required to complete an Application for Press Accreditation form at the nearest Ghana diplomatic mission.” Moreover, foreign journalists are required to report at the Information Services Department for accreditation before they undertake any reporting. We entered the country on tourist visas, and despite a suitcase stocked full of cameras, audio recording devices, and lighting rigs, we encountered no trouble into and out of the airport without credentials or official approval to report in the country. At the time of our arrival, radio channels and TV stations were broadcasting an unedited, live-streamed court case for all of Ghana to follow and listen in. (Radio is the most widespread content distributor in Ghana. In late 2012, the opposition party accused Ghana’s ruling party of election fraud. The dispute led to an eight-month-long lawsuit that ended with a dismissal of the appeal to President John Mahama’s three percent victory. Court hearings on the case were broadcasted on television and radio. Akwasi Sarpong from the BBC called it “a rare sign of judicial transparency in Africa.” In fact, Ghana is the leading African country in democracy and media freedom scores. Ranked 30th on World Press Freedom Index by Reporters Without Borders, Ghana has a vibrant media landscape that allows freedom for reporters . Ghana’s ranking on the Press Freedom index stands two places higher than the US, a rather surprising realization. Their constitution, established in 1992, clearly stipulates “freedom and independence of the media.” Ghana also established a National Media Commission composed of various representatives of different organizations, unions and other public interests to certify that the interests of the media are protected, in several regards. During the most recent elections, the National Media Commission and the National Communications Authority issued several statements regarding the independence of media institutions during election season. Their press release states the following: “we shall not hesitate to call to order any aberrations intended to undermine our collective peace and security, and to throw our nation into chaos ,” essentially serving a regulatory body separate from the government to keep media organizations in line. In addition to the guarantees of the above article, members of the press don’t require any form of accreditation. Although people are free to openly criticize, access to public officials is more difficult, as radio journalist Anny Osabutey explains. The process to schedule interviews with public officials in the Accra Metropolitan Area (AMA) and the mayor himself, Alfred Oko Vanderpuije, is long but possible. One should approach the public relations office of the mayor’s office and go through standard appointment booking procedures. For national officials and the president, the process to obtain access is more difficult. The media relations office tends to micromanage the content of interviews requested. Journalists need to submit a list of questions before the interview, according to Osabutey. According to the Embassy’s “Guidelines for Foreign Correspondents Visiting Ghana,” any foreign journalist intending to interview the president needs to submit a list of questions four weeks before arrival . Access to official information is still a lingering obstacle for reporters to create well-rounded public debate on politics. Corruption has been the biggest challenge, Osabutey, radio host at Joy FM. For example, teachers across the country complain about allowances and a large portion of the country’s education budget is not reaching the rural areas, according to Osabutey. Yet, because of controversies surrounding Ghana’s Right to Information bill, reporters are yet to find out about details on governmental spending. In June 2013, a Freedom of Information bill was laid before the Parliament, but the content is yet to be made public to media, according to a report on the Global Network of Freedom of Information Advocates. President Mahama announced his support for passage of the law in a speech in March 2013. “I have no fear of the Right to Information Bill. It is not a monster, and I think Parliament should pass it,” he was quoted on Graphic Online, a Ghanaian news website . Ghana’s fight for freedom of information has lasted for more than a decade. The current bill was drafted in 2002. While members of the Parliament see it as important step to better the media landscape and information system, civil rights groups are more concerned with details that ensure real access to information, according to another local website, Joy Online. The major reservations advocates had with the previous draft included the possibility of up to one-year-long process to obtain information and that ministers could influence what information should be made public. While in Ghana, we experienced several instances of photographic challenges in dealing with local authorities and figures. 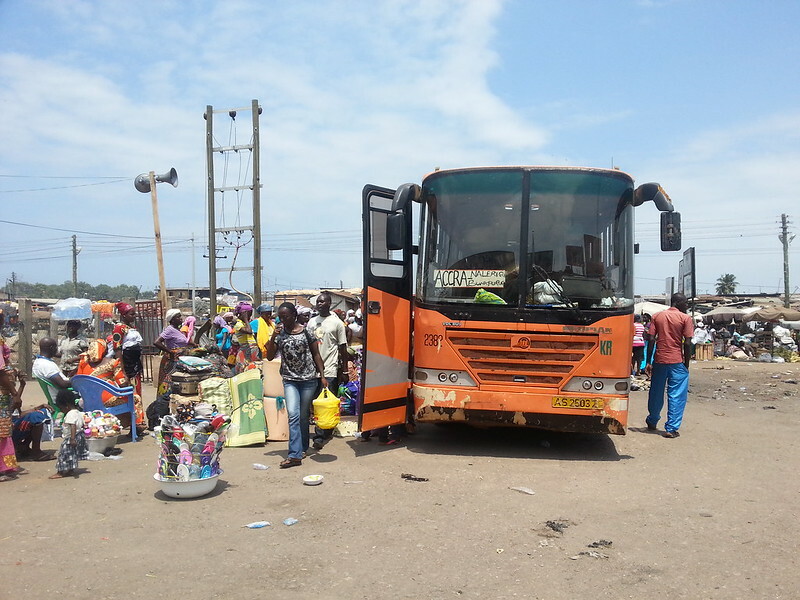 Our team encountered a personal incident when filming a city-run bus traveling from Old Fadama to the Northern Region of Ghana. The entire journey takes approximately two days, and we wanted to capture a small segment of the departure. After seeking permission from the driver, we mounted a Go Pro camera near the rear-view mirror of the bus. When the bus route conductor, a government employee from the transportation department, spotted the camera, he confiscated it and would not give it back. The team and Osabutey (also our fixer at the time) had to go to the traffic department to retrieve the camera and the footage. This was an isolated incident involving a disgruntled public official. For local photojournalists, however, the situation can be threatening. In 2012, local photojournalist Gifty Lawson was harassed and attacked by police officers after she photographed a high-level police official suspected of drug trafficking. In another separate incident, police attacked journalist Victor Kwawukume for allegedly taking photos of police operations . As mentioned earlier, election years tend to be more treacherous for journalists, especially during coverage of opposition parties . Such situations are rare but the fact that they happen indicates not only government corruption, but also few safeguards from police brutality. Given these situations, Ghana still ranks a few spaces higher than the US on the Freedom House Press Freedom rankings. Despite a freedom of information act law that is still in process and has been for several years, Ghana is making strides to ensure a free media and public discourse. For a relatively young country (Ghana received its independence in 1957, and underwent several decades of military rule and political instability), Ghana is setting a model for other sub-Saharan African countries in terms of its vibrant and active media commons.